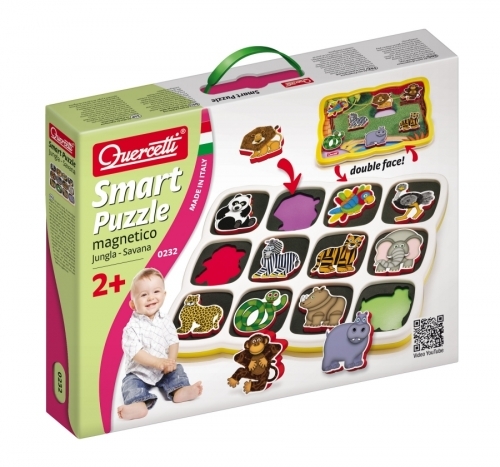 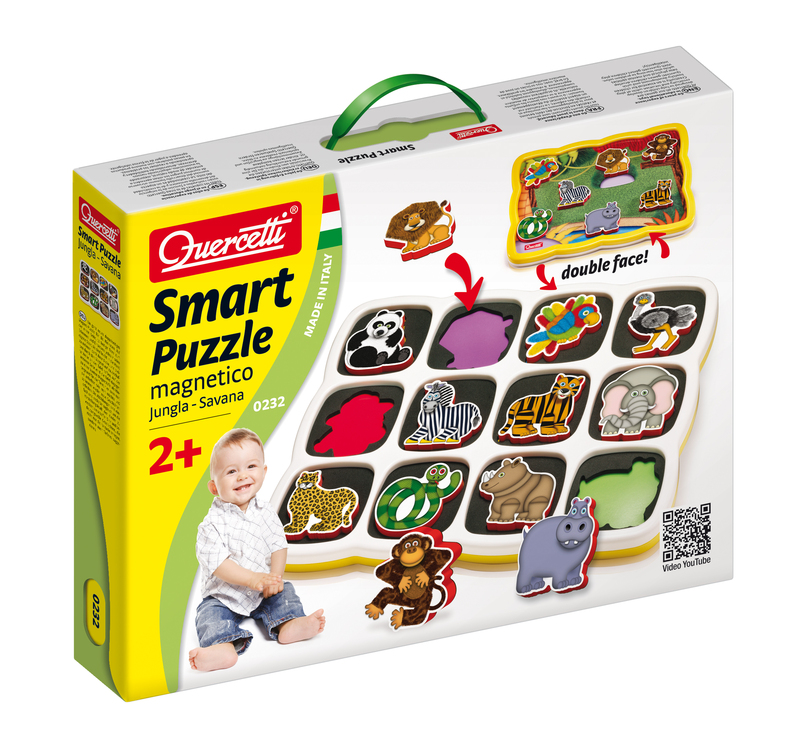 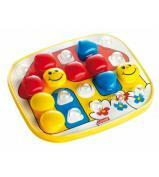 A brand new two-sided magnetic puzzle game for toddlers and young children. 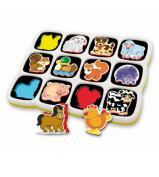 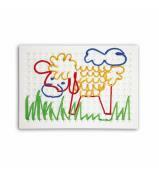 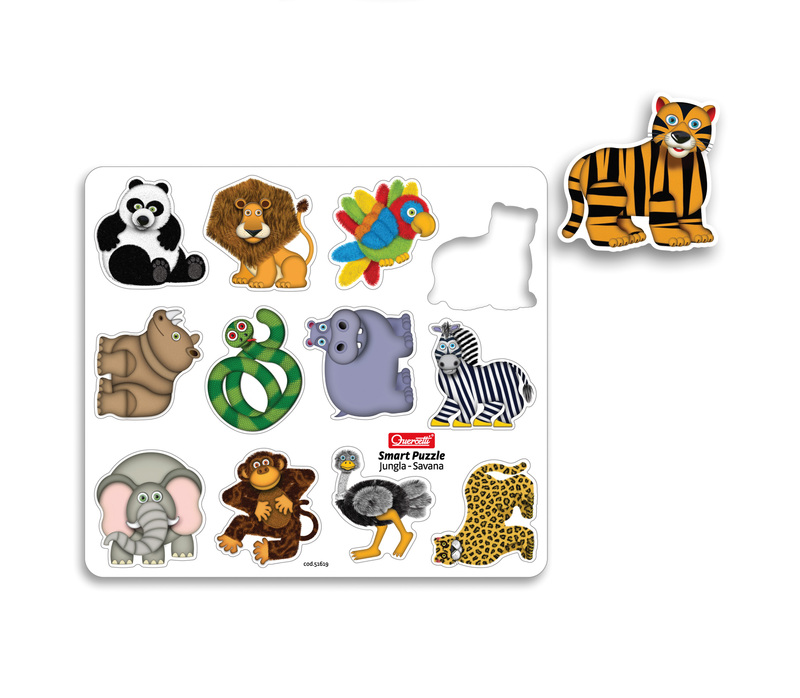 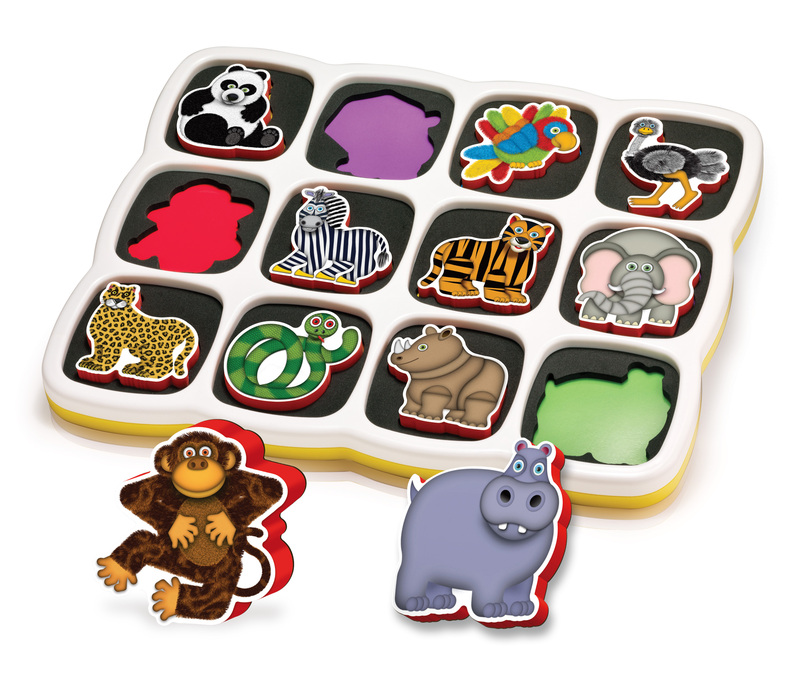 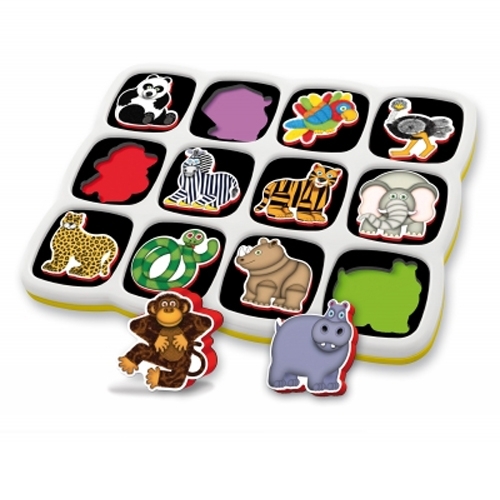 One side features 12 fun and friendly animal magnets, specifically designed for easy recognition and manipulation. 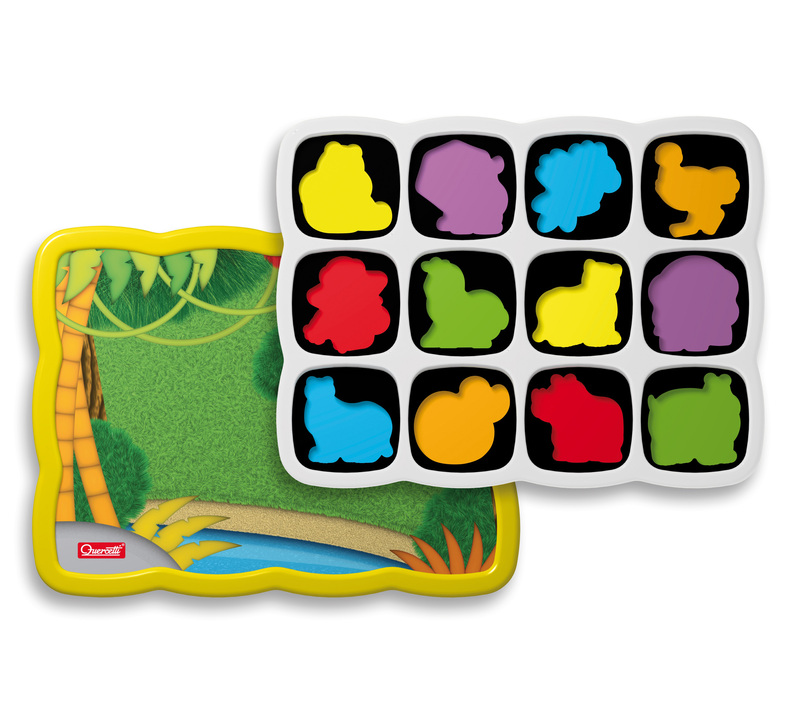 The puzzle pieces are thick enough for your child to grab, and easily fit into its correct place on the magnetic board. 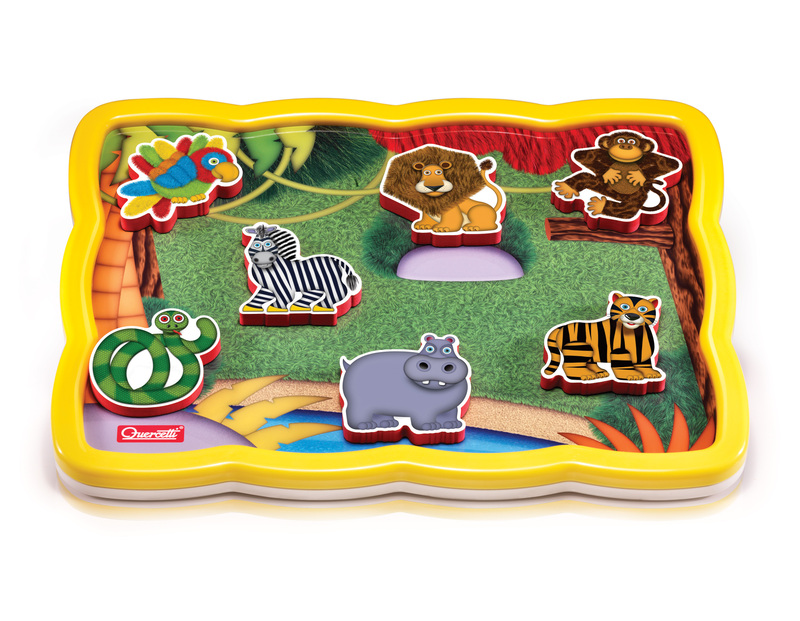 The other side turns into a brightly coloured magnetic board that serves as a background where to freely place the animals, creating a new and fantastic story every time. 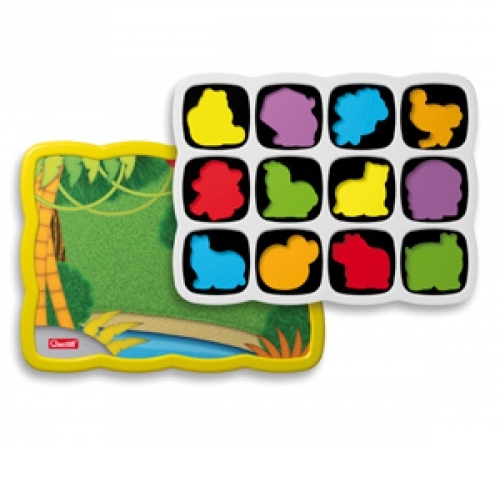 The simple graphics are appealing to children, it sparks their imagination, creativity and concentration while engaging them in a deep, insightful activity.